24 white advent calendar gift boxes to embroider. 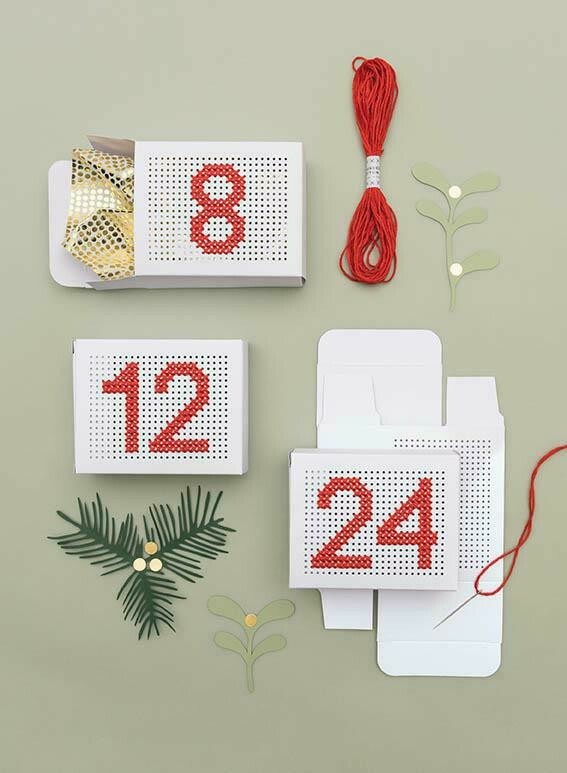 Perfect for creating your own, unique advent calender with precut holes for embroidery or cross stitch. Small gifts can be placed in each box.